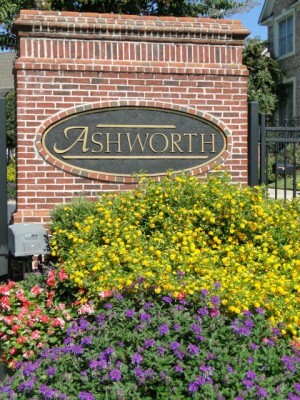 Ashworth is a gated community of single family homes and townhomes. It is located at the corner of Mount Vernon Road and Chamblee Dunwoody Road in the heart of Dunwoody, in the 30338 zip code. With easy access to Perimeter Mall, Dunwoody Village, GA 400, and I-285, Ashworth is a prime Dunwoody location. See homes for sale in Ashworth. See townhomes for sale in Ashworth. Here are the top 10 reasons we love Ashworth and the Dunwoody area. Ashworth Homeowners Association – With an active homeowners association, Ashworth residents can be assured the integrity of the community is being maintained. The board ensures residents take care of their yards, events are planned and common areas are beautifully landscaped. Ashworth Committees – Ashworth has several committees to provide community involvement and social opportunities. Residents can volunteer for Communications Committee, Social Committee, and/or Landscaping Committee. Perimeter Mall Shopping & Dining – Residents love the conveniences of the many shopping and dining opportunities within a very short distance from the neighborhood. One of Metro Atlanta’s top malls is located less than a mile south from Ashworth. 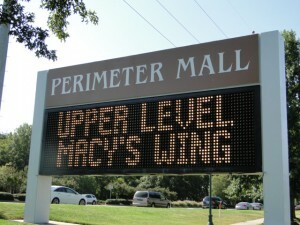 Perimeter Mall has over 200 stores including Boomingdales, Dilliard’s, Macy’s, and Nordstrom. The mall area features restaurants such as Maggiano’s Little Italy, The Cheesecake Factory, Hudson Grill, Season’s 52. Surrounding Perimeter Mall, smaller shopping centers offers even more stores and restaurants including Super Target, Office Max, Verizon, Ross, and Loehman’s, Off Broadway Shoes, Twisted Taco, Eclipse Di Luna, McCormick & Schmick’s Seafood, P.F. Chang’s China Bistro, Brio Tuscan Grille, Chili’s, and Macaroni Grill. Location – Located just North of I-285, East of GA 400, commuters will love the easy access to Buckhead, Sandy Springs, Alpharetta, Buckhead, Vinings, and Midtown Atlanta. Residents can walk to the quaint downtown Dunwoody Village or less than a mile south find everything they need at the Perimeter Mall area. See map of Ashworth. Great Schools – For the 2011-2012 school year, Ashworth residents are zoned for Dunwoody Elementary School, Peachtree Middle School and Dunwoody High School. Great Schools gave Dunwoody High School a distinguished 9 out of 10. Dekalb County School System went through redistricting for the 2011-2012 school year. Click here to look up Dekalb County schools based on an address. Annual Events – Ashworth has several annual events for the residents. These events include a Halloween Party, Block Party, Easter Egg Hunt, Beginning of Summer Party and End of Summer Party. Dunwoody alos offers many annual events to bring the community together. Events include: Taste of Dunwoody, Wesleyan Artist Market, Dunwoody Lemonade Days, Dunwoody Art Festival, 4th of July Parade, Dunwoody Home Tour, Dunwoody Music Festival and Chili Cook-Off, Marist Holiday Traditions, and Light up Dunwoody. 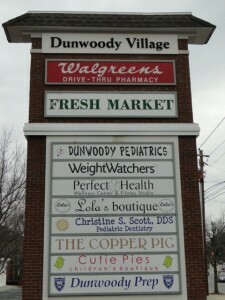 Dunwoody Village – Ashworth residents can walk to the quaint Dunwoody Village in the heart of Dunwoody. Built in the 1970s, the Dunwoody Village Williamsburg-style architecture showcases the quaintness of Dunwoody. It is home to a variety of businesses including Fresh Market, Dunwoody Prep, Mellow Mushroom, The Dunwoody Tavern, Starbucks and Village Burger. Brook Run Park – Found at 4770 North Peachtree Road in Dunwoody, Brook Run Park is Dunwoody’s largest park. The 102 acres of multi-use fields, picnic areas and trails is home to the Brook Run Skate Park and Brook Run Dog Park. Many of the annual Dunwoody events take place at Brook Run Park. Dunwoody Farmers Market – Residents can walk next to the Dunwoody Village Post Office parking lot for the The Dunwoody Green Market. The Dunwoody Farmers Market is held every Wednesday 8:00 a.m. to noon beginning in April and continuing through December at 1551 Dunwoody Village Parkway. 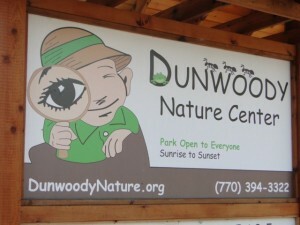 Dunwoody Park and Dunwoody Nature Center – Nestled away at 5343 Roberts Drive, Dunwoody Park is home to trails, picnic tables, playground, recreational baseball leagues and The Dunwoody Nature Center. An educational center for people of all ages, the nature center features a wetland boardwalk; woodland and streamside trails; display gardens; and a treehouse classroom pavilion.